IF MUSIC PRESENTS YOU NEED THIS! AN INTRODUCTION TO BLACK SAINT AND SOUL NOTE (1975 TO 1985). Two years ago, in November 2015, when BBE released IF Music presents You Need This A Journey Into Deep Jazz which was compiled by Jean Claude, the owner of London’s IF Music the aim of this lovingly curated compilation was to introduce record collectors to a plethora of hidden gems that most likely, had escaped their attention first time round. Critical acclaim accompanied the compilation’s released, and the question on record buyer’s lips was, will their be a second volume? Thankfully, the answer was yes, and You Need This A Journey Into Deep Jazz Volume 2 was released to plaudits and praise in February 2017. By then, Jean Claude was hard at work on a new compilation series which allowed him to put his encyclopaedic knowledge of jazz to good use. Eight months later, BBE released the fruit’s of Jean Claude’s labours, IF Music Presents You Need This! An Introduction To Black Saint and Soul Note (1975 To 1985) which is a lovingly compiled triple LP set that looks back at two of Italy’s iconic jazz labels. The Black Saint label was founded in Lombardy, Italy, 1975, by Giacomo Pelliciotti, who had previously produced Enrico Rava’s classic album Katcharpari, which was released in 1973. Two years later, and Giacomo Pelliciotti was now managing his own label, which would provide a home for talented artists who had been overlooked by other levels. Giacomo Pelliciotti was willing to give these artists the break they needed. This included Billy Harper who had released his debut album Capra Black on the Strata East label in 1973. He was without a label when Giacomo Pelliciotti signed him, and produced his sophomore album Black Saint in 1975. When Black Saint was released it was a commercial success, and the future looked bright for the nascent label. After its first release Giacomo Pelliciotti’s Black Saint followed in the footsteps of another Italian label Horo, who recorded American artists during their European tours. Soon, the great and good of free jazz were releasing albums on Black Saint including Archie Shepp, Don Cherry, Hamiet Bluiett, Malachi Favours, Muhal Richard Abrams and Oliver Lake, Muhal Richard Abrams, Malachi Favours. Some of the releases that bore the Black Saint label were European releases of albums recorded by American labels. However, this should’ve been a successful formula for Giacomo Pelliciotti’s new label. After three years of trading, Black Saint was struggling financially and the writing was on the wall for Giacomo Pelliciotti. It was almost inevitable that Giacomo Pelliciotti would have to sell the label he founded and nurtured for three years. Black Saint was purchased in 1978 by Giovanni Bonandrini, who a year later, launched a second imprint, Soul Note, which just like Black Saint, would release many critically acclaimed and seminal albums. As the seventies gave way to the eighties, Black Saint and Soul Note hit a rich vein of form, and won the Down Beat Jazz Award from 1984 through to 1989. The same year, Sun Ra and His Arkestra released his epic album Hours After. However, while the labels went from strength-to-strength, owners came and went. None of the owners seemed to make a go of Black Saint and Soul Note lanes. Their finances seemed to be constantly in a perilous state. With the labels changing hands so often, many thought that it was only a matter of time before Black Saint and Soul Note folded. That never happened and between 1975 and 2008, Italy’s answer to Blue Note, Black Saint and Soul Note released in excess of 500 albums. This includes the albums that the ten tracks on IF Music Presents You Need This! An Introduction To Black Saint and Soul Note (1975 To 1985) are taken from. Across six sides of vinyl, there’s remastered cuts from Don Pullen featuring Sam Rivers, Enrico Rava, Hamiet Bluiett, John Stubblefield, Henry Threadgill’s Air, Billy Bang Sextet and M’Boom. There are also contributions from George Adams and Dannie Richmond, Rava String Band and Archie Shepp on IF Music Presents You Need This! An Introduction To Black Saint and Soul Note (1975 To 1985). 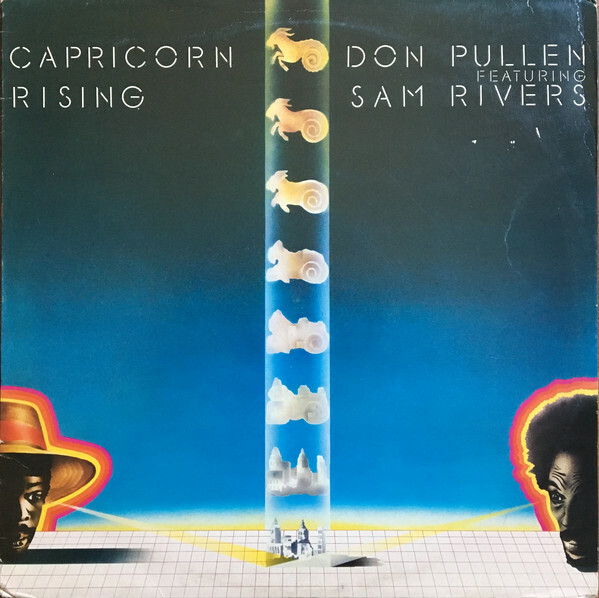 In 1976, the nascent Black Saint label released Capricorn album by American avant-garde pianist and organist Don Pullen which featured free jazz multi-instrumentalist Sam Rivers, who played flute, soprano and tenor saxophone. Capricorn Rising was recorded over two days in October 1975 at Generation Sound Studios, New York, and featured Joycie Girl, one of three Don Pullen compositions. It’s also the quartet’s finest moment on Capricorn Rising, as Sam Rivers unleashes sheets of saxophone while Don Pullen’s Latin-tinged piano is the glue that holds this ambitious six-minute epic together. Enrico Rava was born in Trieste, Italy in 1939, and by the time Black Saint reissued his 1972 debut album Il Giro Del Giorno in 80 Mondi (Around The World In 80 Days)in 1976, many music critics were forecasting great things for the free jazz trumpeter and composer. Some critics went as far as to say that Enrico Rava had the potential to become Italy’s answer to Don Cherry. That wasn’t no far-fetched as Enrico Rava’s 1973 album Katcharpari was regarded as a classic. 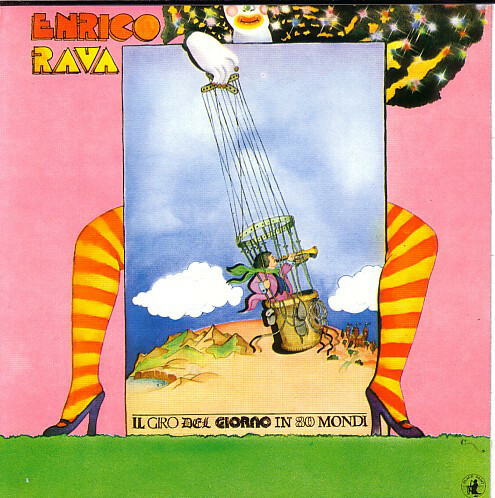 However, the album that preceded Katcharpari, Il Giro Del Giorno in 80 Mondi more than hinted at what was to come from Enrico Rava. 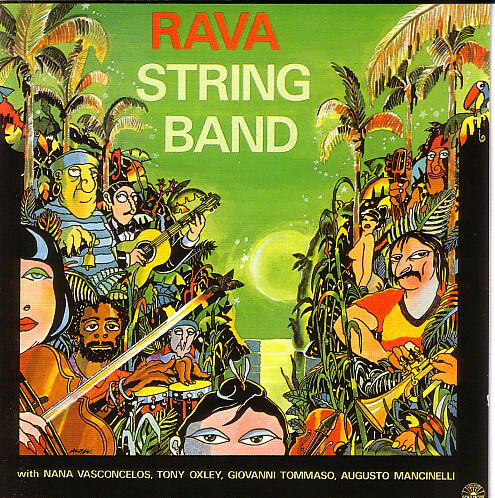 Especially the title-track, which is seven magnificent and melodic minutes, that veer between dramatic to ruminative and uplifting as Enrico Rava unleashes a musical masterclass. American saxophonist, clarinetist, and composer Hamiet Bluiett was thirty-eight when he released Resolution on Black Saint. By the time he returned with the followup Dangerously Suite in 1981, the Soul Note label had been founded in 1979. Hamiet Bluiett’s second release for the Black Saint label, Dangerously Suite was released in 1981 on Soul Note and featured Oasis. It was Hamiet Bluiett composition that first appeared on his 1977 album Orchestra, Duo and Septet, where it was part of a twenty-minute suite. 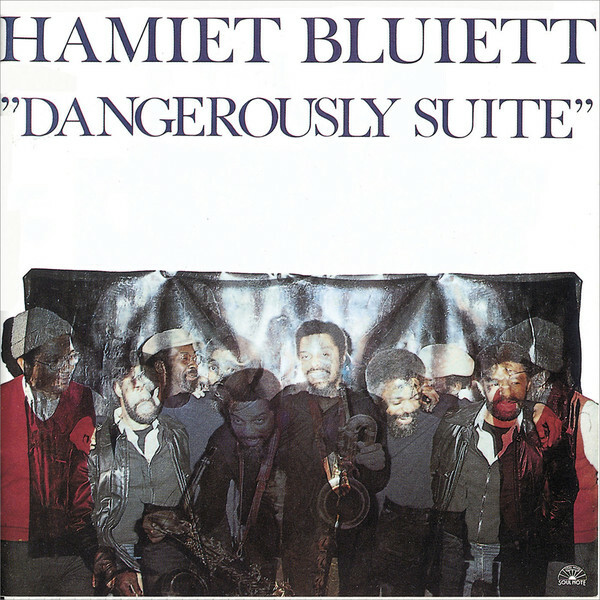 However, on Dangerously Suite, Hamiet Bluiett and his multitalented band transform the track. Playing a leading role is Hamiet Bluiett’s braying, blazing, growling saxophone on the definitive version of Oasis. 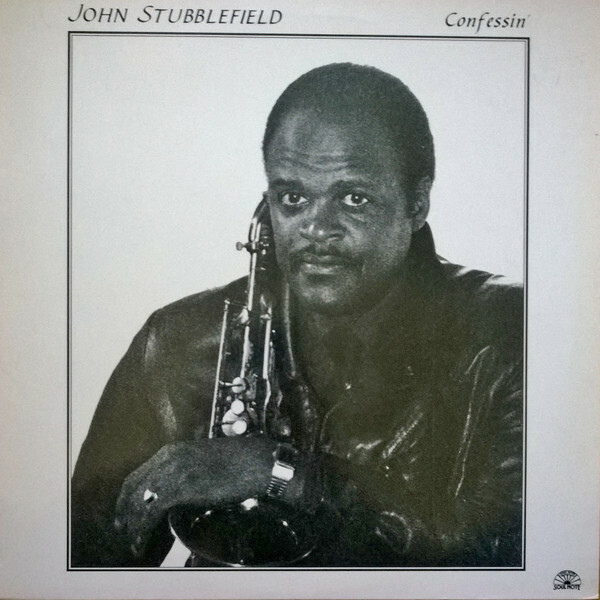 John Stubblefield was forty when the saxophonist, flautist, and oboist released his one and only album Confessin’ on Soul Note in 1985. Confessin’ was the fourth album since John Stubblefield released his debut album Prelude in 1977. Since then, he had flitted from label to label, looking for a home. Soul Note should’ve been the perfect label for the talented multi-instrumentalist. He puts his considerable skills to good use the title-track Confessin’, a nine minute opus where John Stubblefield switches to soprano saxophone and showcases his versatility on what’s one of the highlights of the compilation. 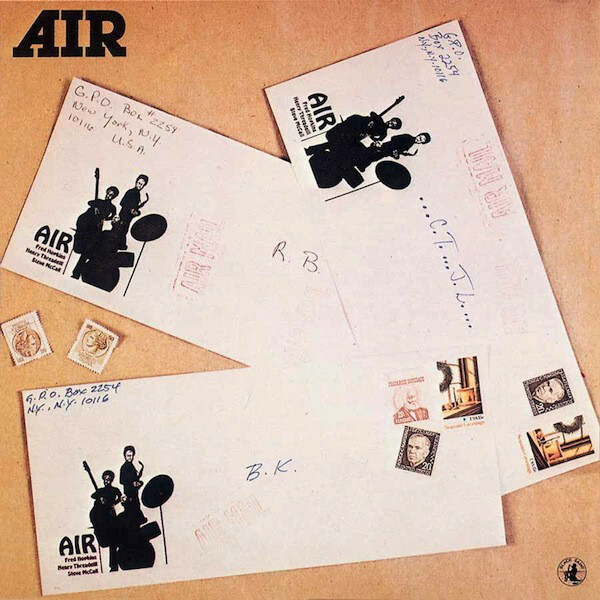 Air were a free jazz trio that were together during the seventies and eighties. By 1981, when Air released Air Mail, the lineup had changed, and featured drummer Steve McCall, bassist Fred Hopkins and saxophonist and flautist Henry Threadgill, who won the 2016 Pulitzer Prize For Music for his album In For A Penny, In For A Pound. Thirty-five years earlier the trio who were sometimes billed as Henry Threadgill’s Air, eighth album had just been released by Black Saint and opened with BK. It’s a light, airy, example of free jazz where a Spanish influence emerges as BK meanders along, all the time ebbing and flowing. Henry Threadgill’s flute plays a starring role as the rhythm section propel the arrangement along and sometimes add flamboyant flourishes as befits this truly talented trio of free jazz musicians. 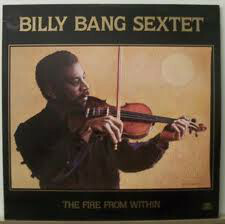 In 1984, the Billy Bang Sextet who were led by thirty-seven year old American free jazz violinist and composer released their eagerly awaited sophomore album The Fire From Within on Soul Note. One of the highlights of the album was The Nagual Julian, which featured a guest appearance by Charles Bobo Shaw who played the cowbell and augments an all-star sextet. It adds a mesmeric backdrop on this African influenced track which features the Billy Bang Sextet at the peak of their powers. Especially guitarist Oscar Sanders and bandleader Billy Bang who produces a performance befitting one of the top violinists in the history of jazz. Max Roach’s percussive project M’Boom released a total of five albums during the ensemble’s lifetime. 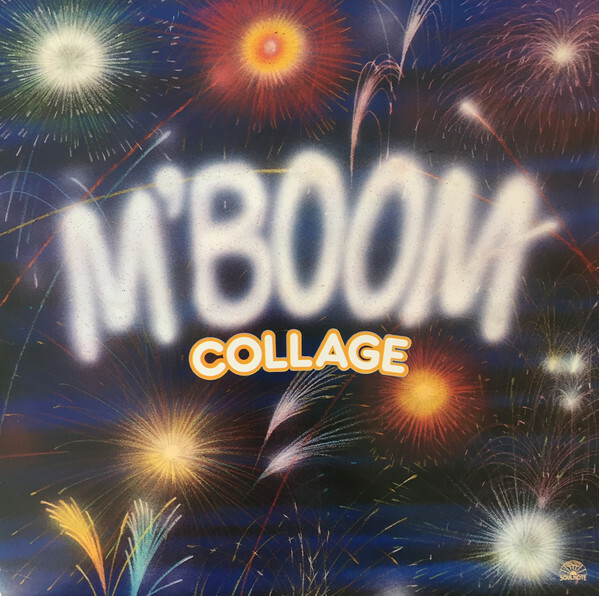 The fourth album was Collage, which was released by Soul Note in 1984 and features Mr Seven an eleven minute epic. It takes up all of Side D and features a myriad of percussion which play their part in what deserves to be called a percussive masterclass. 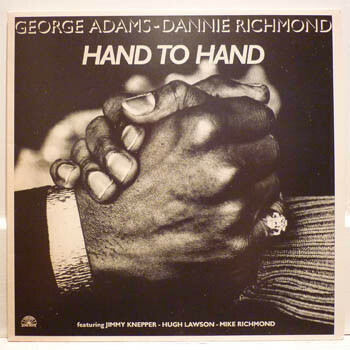 Multi-instrumentalist George Adams and drummer Dannie Richmond first collaborated on the album Hand To Hand, which was released on Soul Note in 1980. They hadn’t planned to record the album, as they were part of Charles Mingus’ quintet which was touring Europe. However, when the opportunity arose, they grabbed it with both hands and recorded four tracks at Barigozzi Studios, Milan during two days in February 1980. This includes the album closer Joobubie, where Charles Mingus’ take centre-stage and show what they’re capable of. Dannie Richmond drums provide the heartbeat as saxophonist George Adams plays with power, passion and control on what’s not just the highlight of Hand To Hand, but one of the highlights of the compilation. By 1984, trumpeter Enrico Rava was one of Italy’s most experienced jazz musicians, and was still being compared to Don Cherry. The two musicians had met in 1965, and it was after this that Enrico Rava started playing free jazz. Since then, he had been involved in a variety of projects, and in 1984 his latest project Rava released the album String Band on Soul Note. It opens with Verde Que Eu Te Quero Ver which is variously understated, ethereal, and lysergic and almost spiritual, but always enchanting. Closing IF Music Presents You Need This! 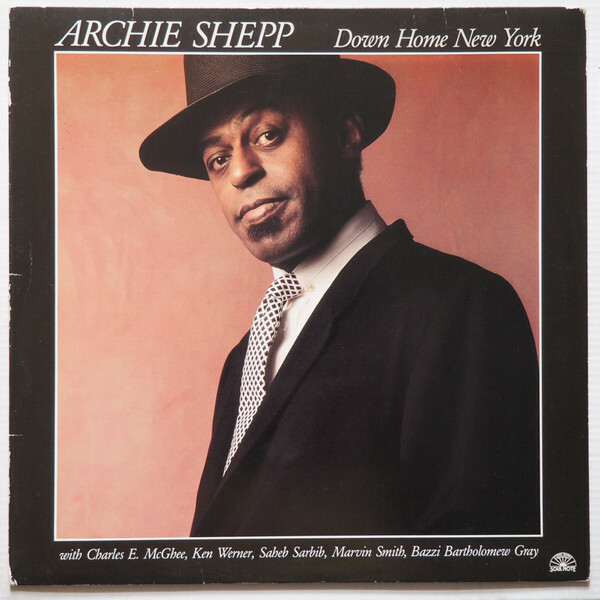 An Introduction To Black Saint and Soul Note (1975 To 1985) is Archie Shepp’s Down Home New York, which was the title-track to his 1984 album on Soul Note. It’s an eleven minute toe tapper whose roots are in the blues, as musician and social activist Archie Shepp takes the listener on a journey to Down Home New York, where he spent part of career with The New York Contemporary Five. This ensures that Jean Claude’s latest compilation for BBE ends on a high. For anyone yet to discover the Black Saint and Soul Note labels, then there’s no better place to start than IF Music Presents You Need This! An Introduction To Black Saint and Soul Note (1975 To 1985). It was recently released by BBE, and features ten remastered tracks from the two labels founded by producer turned musical impresario Giacomo Pelliciotti. Sadly, financial problems meant that he had to sell the company after three years, and Black Saint and Soul Note had several owners between 1975 and 1985. That is the period that IF Music Presents You Need This! 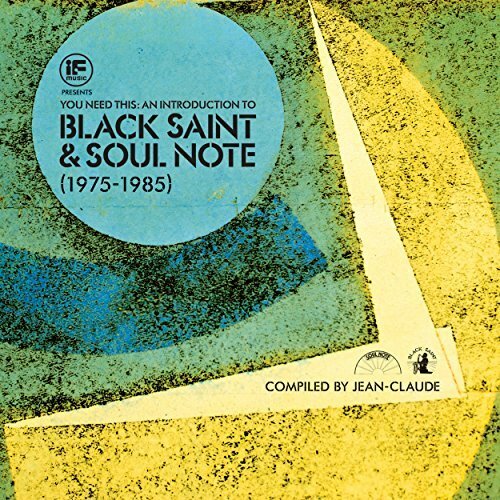 An Introduction To Black Saint and Soul Note (1975 To 1985) covers. During this period, the great and good of free jazz released albums from the award-winning labels. Some of these free jazz greats feature on IF Music Presents You Need This! An Introduction To Black Saint and Soul Note (1975 To 1985), which also features what will be new names to most people. Sadly, only jazz aficionados will know some of the names on IF Music Presents You Need This! An Introduction To Black Saint and Soul Note (1975 To 1985). However, just like the other artists on the compilation, these artists were talented, inventive and innovative, and their music deserves to reach a much winder audience. Hopefully, after hearing IF Music Presents You Need This! An Introduction To Black Saint and Soul Note (1975 To 1985 record buyers will embark upon a journey through both label’s back-catalogues, searching for the albums these tracks are taken from. After that, they can search further into Black Saint and Soul Note back-catalogues in search of hidden gems and musical treasure. There’s plenty of both awaiting record buyers after discovering the delights of IF Music Presents You Need This! An Introduction To Black Saint and Soul Note (1975 To 1985 which is compilation that you really need in your record collection. IF Music Presents You Need This! An Introduction To Black Saint and Soul Note (1975 To 1985. ← ASTRID KULJANIC TRANSATLANTIC EXPLORATION COMPANY-RIVA.